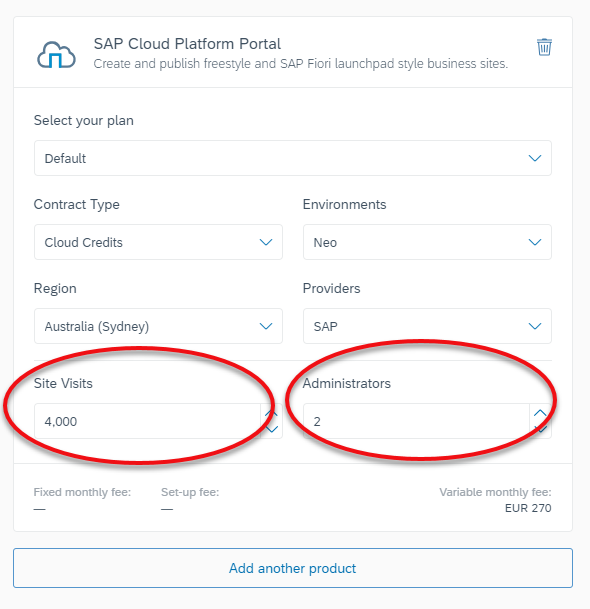 As you may recall, we launched the SAP Cloud Platform Enterprise Agreement earlier this year, and with this also the new SAP Cloud Platform website. In the new website we provided the services pricing information which you could propagate into the pricing estimator, and draft the initial cost overview of your cloud project. We got a lot of positive feedback from you on this, appreciating this new transparency from SAP, as well the ability to estimate better your project cost. 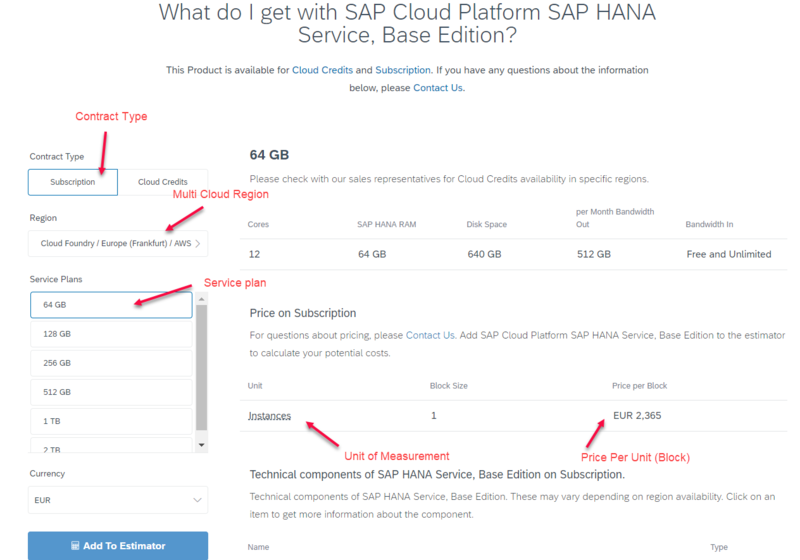 but of course like with any first version there was also room for improvement and now we came out with a better pricing display for each of the SAP cloud platform services, which is also optimized to our multi-cloud offering. 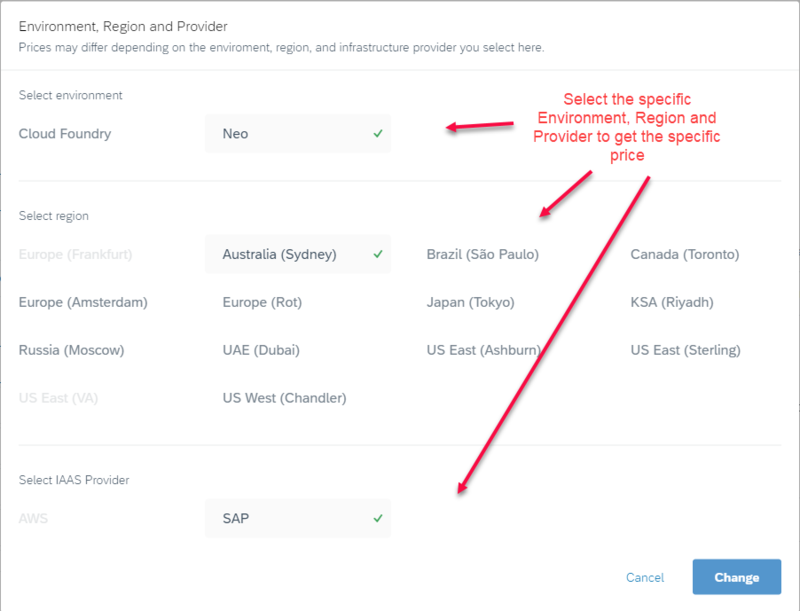 In the new view bellow, you can see the different plans and prices of the services based on the selected purchase model – Subscription or the Cloud Credits as well by clicking on the region tab, you can drill down to see the respective price in a specific data center. It also give you more detailed information about the service availability in the data center or cloud provider you may be looking to use. The new design also support the notion of multi-metric rate plans which for many of our services make more sense than to simply display it as separate service plans. This way when there is a dependency or any relation between the two elements that influence your billing, it will be easier for you to see that in advance, and avoid unplanned expenses at the end of the month. Needless to say, we did not forget to add these enhancements to the price estimator tool as well, so there you can adjust any of the available parameters that may influence the price of the services. the multi metrics elements are now included as well, so you don’t need to add each one separately. So, I hope you like this new enhancement we introduce, and we will continue to evolve that based on the feedback you provide. in the meantime, feel free to hop to cloudplatform.sap.com and find the best way to budget your project.